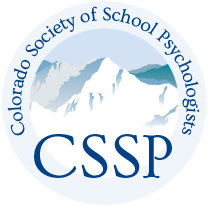 The CSSP Board is organized in a two-tiered structure and includes the Executive Council and Program Areas. The program areas Advocacy, Professional Development, Information Services and Professional Standards focus their efforts on specific topics or areas needing action. This structure allows for an efficient use of board member’s time. The Executive Council governs the organization, while the Program Areas focus their efforts on specific topics or areas needing action.